MINNEAPOLIS, Minn. (January 31, 2018) – Southtown Shopping Center in Bloomington has recently begun to renovate Southtown’s “New Town” area that will reconfigure most of the existing enclosed mall. One of the first “New Town” retailers signed by Kraus-Anderson Realty will include a 16,000-square foot Guitar Center, complete with a state-of-the-art lessons studio. The retail store is relocating from Edina and scheduled to open at Southtown in early spring of 2018. Known as the world’s largest music instrumhtown Shopping Center in Bloomington has recently begun to renovate Southtown’s “New Town” area that will reconfigure most of the existing enclosed mall. One of the first “New Town” retailers signed by Kraus-Anderson Realty will include a 16,000-square foot Guitar Cent retailer, the new Guitar Center store will feature the latest products for musicians – from guitars, amplifiers, percussion instruments and keyboards to live sound DJ lighting and more. In addition to both new and used instruments and gear, the store will provide musicians with on-site guitar repairs, gear rentals and Guitar Center Lessons for musicians of all ages, from beginner to advanced. The Guitar Center announcement adds to the momentum of change happening at Southtown, a 500,000-square-foot retail center that has been a flagship project for Kraus-Anderson since its opening in 1960, when it transformed a cow pasture into Bloomington’s largest regional retail center. Located near one of the busiest, high-profile intersections at Interstates 35W and 494, Southtown’s other new recent retailers include a Petco and The Joint Chiropractic. Kraus-Anderson Realty Company leases and manages more than 5 million square feet of commercial property, including office, industrial and retail shopping centers; maintaining an occupancy level of more than 90 percent. Kraus-Anderson Realty is part of the Minneapolis-based Kraus-Anderson family of companies, including commercial, construction, insurance and real estate management and development. Guitar Center is the world’s largest retailer of guitars, amplifiers, drums, keyboards, recording, live sound, DJ and lighting equipment. With more than 280 stores across the U.S. and one of the top direct sales websites in the industry, Guitar Center has helped people make music for more than 50 years. 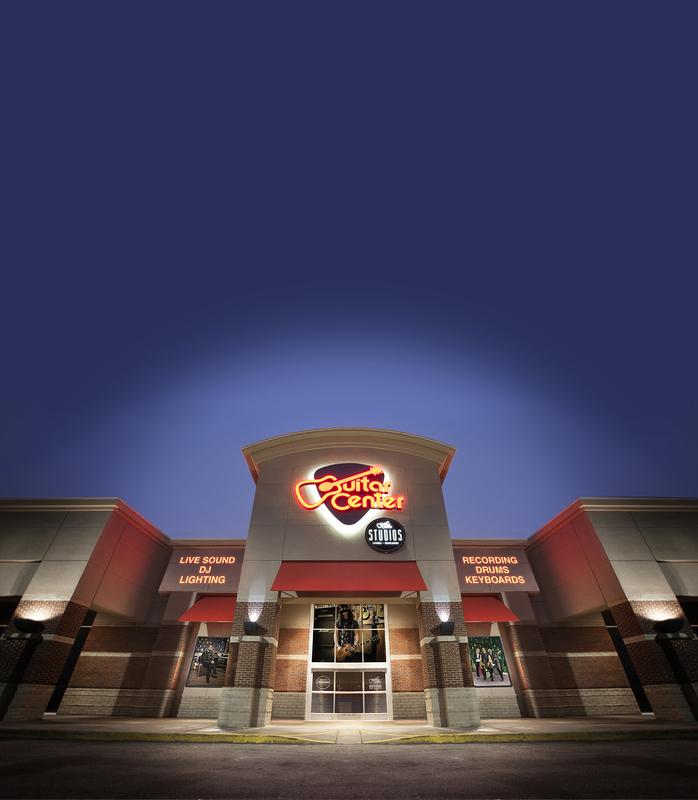 Guitar Center also provides customers with various musician-based services, including Guitar Center Lessons, where musicians of all ages and skill levels can learn to play a variety of instruments in many music genres; GC Repairs, an on-site maintenance and repairs service; and GC Rentals, a program offering easy rentals of instruments and other sound reinforcement gear. Additionally, Guitar Center’s sister brands include Music & Arts, which operates more than 150 stores specializing in band & orchestral instruments for sale and rental, serving teachers, band directors, college professors and students; and Musician’s Friend, a leading direct marketer of musical instruments in the United States. With an unrivalled in-store experience, an industry-leading online presence and passionate commitment to making gear easy-to-buy, Guitar Center is all about learning.